Cannabis plants will show a number of key signs when they’re getting too much light. The most obvious indicator is leaf burning. This typically causes yellow leaves at the top of the plant directly under the grow lights. While the inside veins stay green, the leaves take on a yellow, burnt look. This effect may be mistaken for nitrogen deficiency, but nitrogen-deficient leaves typically fall off on their own, while light-burned yellow leaves won't fall off or be easily plucked. Light burn may also cause loose and airy buds. That’s because the excess light causes nutrient deficiencies as plants struggle to overcome their heat and thirst. Fortunately, you don’t have to wait for these symptoms to emerge to know whether greenhouse lighting is too strong. One simple test asks the grower to put a hand, palm down, at the top of the plant. In 10 to 15 seconds, you’ll feel how much heat the plant is getting. If it is too hot for comfort on the back of your hand, that’s probably more lighting than the plant requires. Digital monitoring tools can also help a grower keep an eye on lighting levels. Sensors that track heat and humidity can give a good sense of greenhouse conditions. By tracking the environment via a smartphone app, an informed grower will know if things are getting too hot and dry, a possible sign that the lights are cranked up too high. Although too much light can impede plant growth, it’s also a fairly easy problem to fix. There are a couple of common methods for remediating a too-bright greenhouse. Distance matters when it comes to lighting. Plant burn often comes about when plants are growing too close to the main source of light and heat. Depending on your greenhouse configuration, it may be relatively easy to raise light fixtures or otherwise distance them from plants. When there’s no easy way to move lights away from the plants, a grower can bend taller plants to angle them away from the direct impact of over-lighting. The effect is the same as if the lights themselves were repositioned. It’s all about adding distance. Growers also can adjust the strength of lighting. 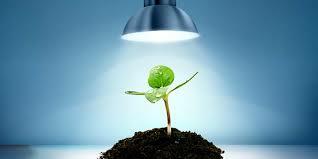 Experts recommend 100 watts of light for a 2 foot by 2 foot grow area, up to 1,000 watts for an 8 foot by 8 foot area. Most growers will experiment as they seek the lighting levels that promote the best and fastest growth without compromising plant health. Cannabis loves light and a well-illuminated greenhouse will produce strong, tall, healthy plants with robust buds. It’s possible to overshoot the mark, though, and provide so much light that plants end up struggling rather than thriving. By combining close firsthand observation with remote monitoring tools, growers can keep light burn in check and make rapid adjustments any time plants seem to be getting more light than is good for them. By being proactive and persistent, most growers can easily manage greenhouse lighting for high yields over time. Don’t be afraid to experiment. Some growers find success by running multiple plots at different wattages, adjusting the distance between lights and plants over time and in different growing stages. By changing up the parameters in a methodical way, it’s possible to land on a formula that delivers the best outcomes for a given greenhouse.